Chris Herd (51st) from Australia and Brazilian Mailson Veriato (53rd) scored early in the second half to secure all three points. 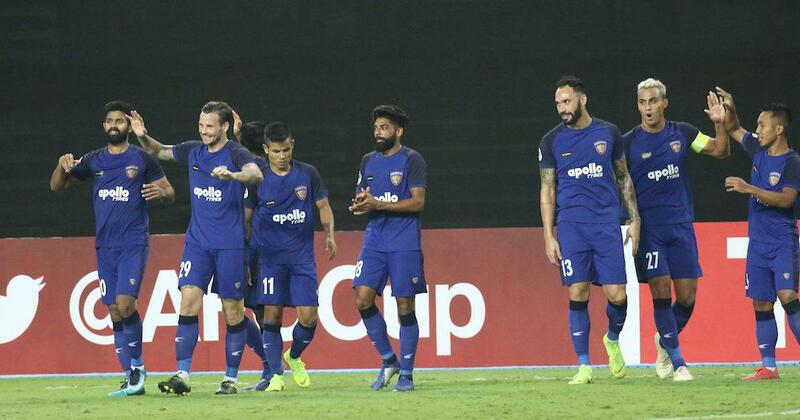 Chennaiyin FC notched up their first win in the AFC Cup with a 2-0 victory over Nepal’s Manang Marshyangdi Club to move to the top of their group in Ahmedabad on Wednesday. The match at the TransStadia Arena also saw the former Indian Super League champions scoring their first goal of the AFC Cup after their goal-less stalemate against I-League side Minerva Punjab in their opening Group E match at the same venue. After a scoreless opening 45 minutes, Chennaiyin’s overseas players Chris Herd (51st) from Australia and Brazilian Mailson Veriato (53rd) scored early in the second half to secure all three points. Chennaiyin had their first sight on goal just after the five-minute mark but Jeje Lalpekhlua saw his effort from 10 yards deflected narrowly wide. Although the home side dominated the possession in the ensuing 25 minutes, they struggled to create clear-cut chances, but Mohammed Rafi shot just wide from the centre of the area after being picked out by Renthlei Laldinliana’s low cross from the right shortly after the half hour mark. The visitors had a rare sight on goal in first-half stoppage time but Sujal Shrestha curled his free-kick from 25 yards into the arms of goalkeeper Karanjit Singh as the sides went in for the breather on equal terms. John Gregory’s Chennaiyin again came out stronger after the interval and broke the deadlock in the 51st minute when former Aston Villa player Herd’s attempt from 20 yards deflected off Saheed Azeez and looped over goalkeeper Bishal Shrestha into the back of the net. 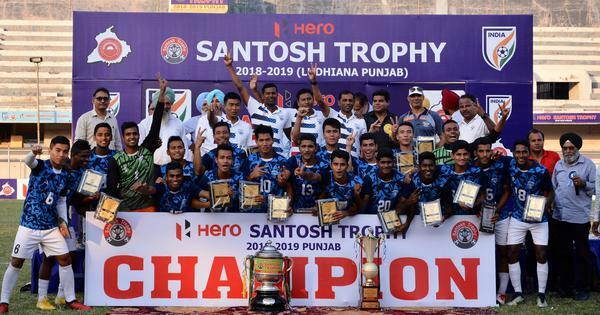 The home side then doubled their advantage almost immediately after when captain Mailson headed home Anirudh Thapa’s corner from the right to open up a two-goal lead. Manang came close to pulling one back midway through the half but Abishek Rijal’s looping header went just over the bar after the substitute had been picked out with an inch-perfect ball over the top from Gurung Heman. Rijal was again unlucky late on when his acrobatic effort following Kamal Shrestha’s delivery was tipped wide by custodian Singh as the Nepalese side were condemned to back-to-back defeats. Chennaiyin now sit above Abahani Limited Dhaka on goal difference after the Bangladesh side drew 2-2 with Minerva Punjab in Wednesday’s other Group E clash. Chennaiyin and Abahani will face off in two weeks’ time in the first game of a crucial double header, while Manang return to India to take on Minerva as they look to keep their qualification hopes alive.